Are you wondering what CoQ10 is? Does the term also make you think of a piece of computer code? CoQ10 is a vitamin-like compound, and it has many health benefits for you and your family. As a supplement, CoQ10 is growing in popularity worldwide due to its ability to help cells manufacture the energy necessary for people to thrive. CoQ10 is naturally present in every cell in the human body, mostly concentrated in the heart, liver, kidneys, and pancreas. So, we all have CoQ10 naturally in our bodies. Why would supplementation be necessary? Thing is the levels of CoQ10 in your body decrease as you age. Certain conditions can also lower CoQ10 levels in your body which might call for supplementation. What Causes COQ10 in the Body to Drop? Q10 coenzyme levels in your body can drop as a result of one of the following conditions: fibromyalgia, depression, Prader-Willi syndrome, male infertility, Peyronie’s disease, migraines, Parkinson’s disease, and the aftermath of a heart attack. If you have any of the listed diseases, it’s recommended you supplement with CoQ10. CoQ10 is particularly recommended if you are a heart attack victim or suffer from fibromyalgia. Several pharmaceuticals can also deplete CoQ10 levels. For instance, if you take statin drugs you might want to consider supplementation with CoQ10. Also, as people age, CoQ10 production diminishes, so elderly people can be deficient in this compound. CoQ10 is prescribed for people who previously experienced a heart attack or experienced damage to heart tissue as well as for people on statin therapy. CoQ10 benefits to heart health by helping to enhance blood flow, lower blood pressure and protect blood vessels. In the case of heart failure, the heart muscle weakens and can’t pump enough blood. Research has shown that supplementation with CoQ10 can help to increase blood flow in the main heart chamber of people with diabetes. 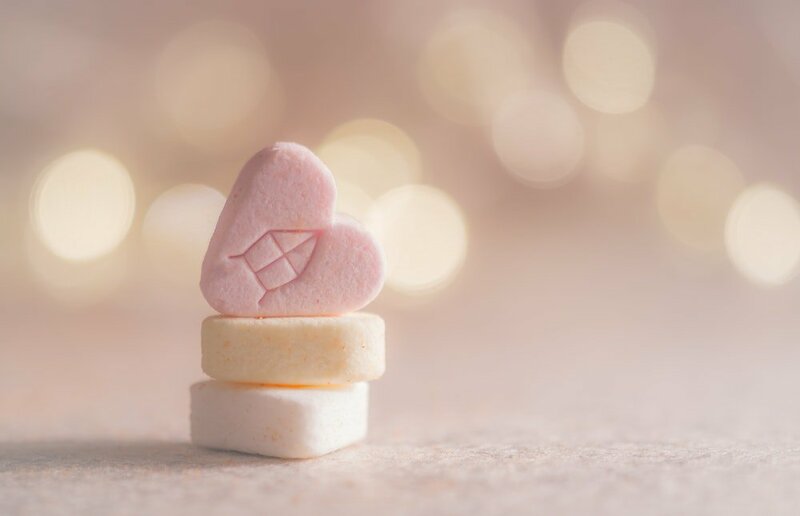 In another study, 8 weeks supplementation with Q10 coenzyme also resulted in an improvement in the blood flow of patients with coronary heart disease. When blood cannot flow freely through the heart, high blood pressure is the result. Here CoQ10 can also help, but research on this point is inconsistent. In one very well-designed study, patients who received 60 mg of oral CoQ10 for 12 weeks, were able to lower their blood pressure. In some studies, there was only a minor effect on blood pressure and in others, it remained unchanged. Another way that this supplement fights heart disease is by strengthening blood vessels in the heart. The scientific evidence for this is strong. In one study that lasted six weeks, the researchers found the arteries of volunteers who took the supplement improved so much that they “look like those of someone 15 to 20 years younger”! Fibromyalgia is really a miserable condition. People who have it experience widespread pain in the body, joint stiffness, migraine, debilitating fatigue in addition to sleep problems and mood swings. Supplementation with CoQ10 can help. Scientific research has consistently found that treatment with CoQ10 has a strong effect on symptoms associated with fibromyalgia. One small study in Spain involving 20 fibromyalgia suffers and 15 healthy subjects found that supplementation with 300mg daily for 3 months reduced headache symptoms. In another study, patients received CoQ1 supplementation of 100 mg/day for 12 weeks. Afterward, the patients felt less fatigued. Statins are prescribed to lower high cholesterol levels. These drugs have side effects for some people, including muscle pain and liver and kidney damage. Another side effect of statins is that they can lower your levels of CoQ10 and as these levels drop, the side effects of the statins increase – a vicious circle! But you can take the supplement to ease the muscle pain, but it doesn’t work for everyone, though. One study compared the use of CoQ10 and red yeast rice in rats that had high cholesterol. The scientists found that both CoQ10 and red yeast rice lower cholesterol without harming muscle tissue. Red yeast rice is a compound used in Chinese medicine to lower cholesterol. CoQ10 seems to reduce death from heart failure. It helps to improve some symptoms and reduce the risk of future heart attacks. One randomized study of 420 patients found that taking CoQ10 reduced deaths in patients with severe heart failure by half, compared to a control group that didn’t take the supplement. The doctors observed these patients for more than two years. CoQ10 has also been studied as a treatment for migraine headaches. Interestingly, people who suffer from migraines, show a lack of CoQ10. In one study, volunteers experienced fewer migraines than the placebo group, but the supplement only started to work in the third month. One study even showed that CoQ10 can prevent migraine headaches. As women become older they are less fertile, having fewer viable eggs. At this time, your CoQ10 levels also begin to drop. Supplementing with CoQ10 may help. Sperm quality also deteriorates with age. A meta-analysis of three trials has concluded that supplementing with CoQ10 may improve sperm quality. Yet, the supplementation didn’t result in more pregnancies or more births. Did you know that Q10 coenzyme is a key ingredient in many popular skin care and anti-aging products? CoQ10 can decrease wrinkles and increase skin smoothness. This is because CoQ10 is a potent antioxidant. Antioxidants fight free radicals that can do a lot of skin damage. If you apply CoQ10 directly to your skin, it can reduce oxidative damage and make your skin look younger. You can also take CoQ10 in a supplement form to benefit your skin. Research looking into a shampoo and a tonic containing coenzyme Q10 found that it is beneficial for hair, fighting the aging process that can make mature hair look so dull. So, next time you shop for shampoo, check out a brand that contains CoQ10! Once you’ve had a heart attack, or if you have heart problems, you might find it difficult to exercise, yet exercise is very important for your health. CoQ10 can help you to exercise by decreasing oxidative stress in the cells and improving mitochondrial function. In fact, CoQ10 is sometimes prescribed as a supplement for energy, but research is inconclusive. Some studies show that there’s no significant effect of CoQ10 supplementation on exercise performance, while there are other studies that show that the supplement increases the work output of people with chronic heart failure. Some chemotherapy drugs used to treat cancer can damage the heart. Coenzyme Q10 has been shown to stimulate the immune system and so protect the heart from damage caused by certain chemotherapy drugs. Also, because it can stimulate the immune system, doctors prescribe coenzyme Q10 as a complementary therapy for cancer patients. What are the Side Effects of Q10 Coenzyme? Most people can tolerate CoQ10 very well as long as the dose doesn’t exceed 500mg. The most common side effect caused by CoQ10 is an upset stomach. Can You Take Q10 Coenzyme as an Energy Supplement? Although CoQ10 is sometimes sold as an energy supplement, there is no scientific evidence that it will boost your energy. CoQ10 is found in meat, especially organ meats like heart, liver, and kidney. It’s also found in muscle meats, fatty fish and some vegetables, especially cauliflower, and broccoli. Soybean oil, canola oil, and peanuts also contain CoQ10 as do oranges and strawberries.